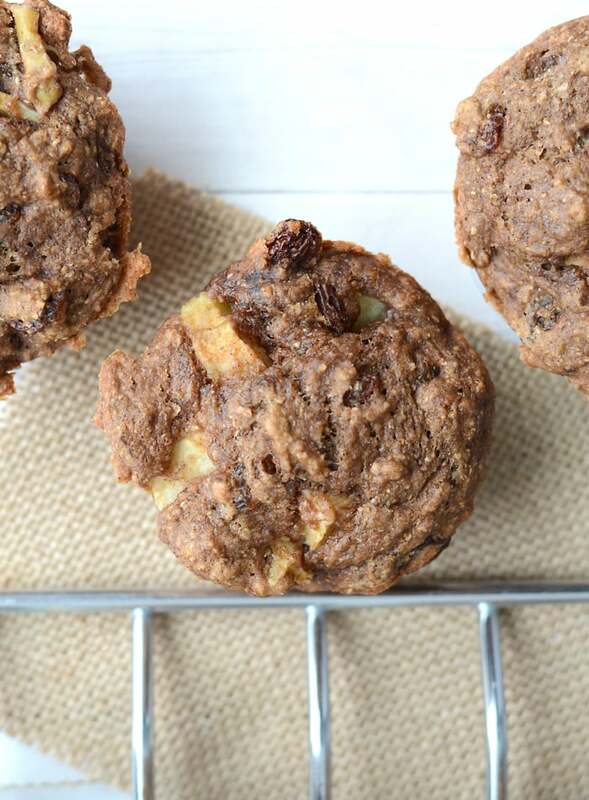 Vegan Apple Cinnamon Muffins with Raisins: Fluffy and Flavourful! 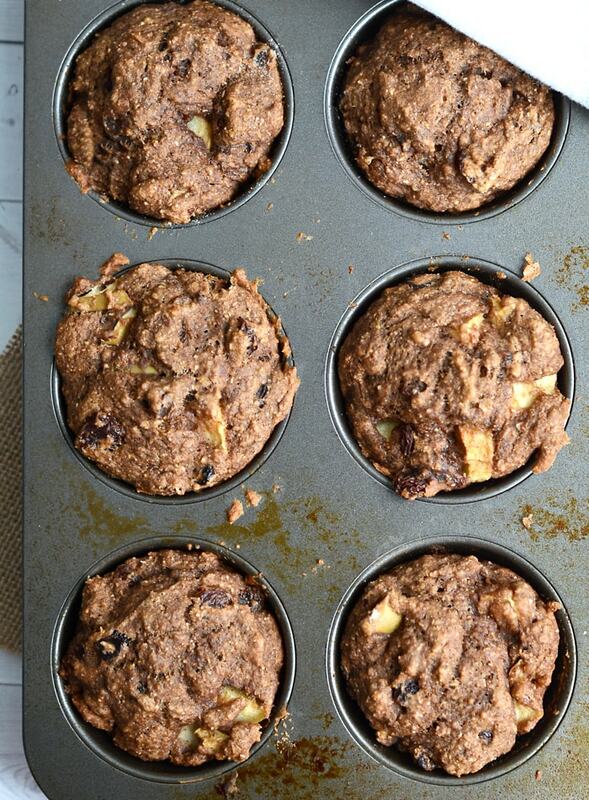 Maybe they don’t have pumpkin in them but the flavours in these vegan apple cinnamon muffins all say Fall to me. I’ve never really been much of a baker but recently I’ve really loved having muffins on hand for treats. When I know I’m going to be out of the house for 12 hours, the more snacks I have ready, the better! 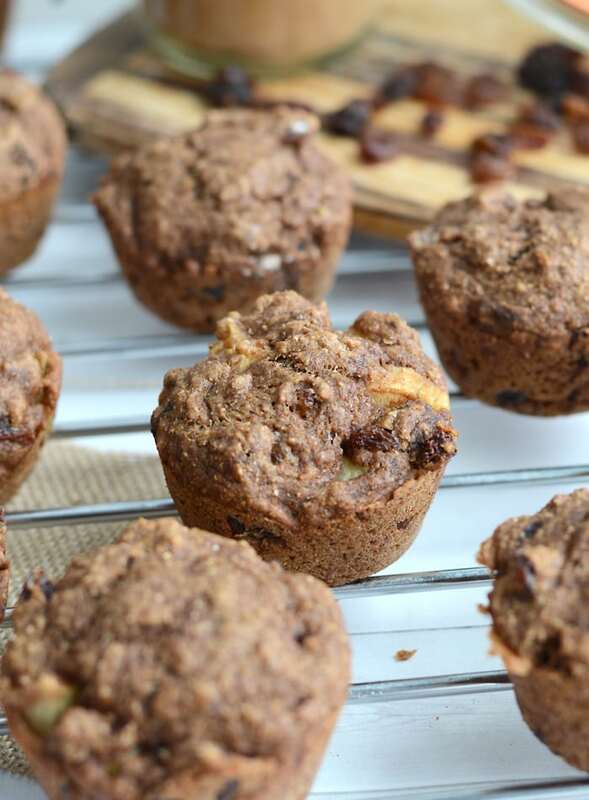 These apple cinnamon muffins are full of fruity, apple chunks, packed with cinnamon flavour and studded with raisins. Although….you could sub chocolate chips for those raisins if you wanted, just sayin’…. I love the combination of apple and cinnamon, don’t you? They’re two flavours that were just meant to together. Add in sweet, little raisins and it’s an explosion of flavour with every bite! I found the best way to enjoy these was with a little pat of coconut butter. Totally optional of course, but omg. So good. They’re also amazing topped with almond or peanut butter. A cup of coffee on the side? Even better. If you haven’t made coconut butter at home before, you’re missing out. It’s super easy to make at home and a fraction of the cost of store-bought coconut butter. To make coconut butter, add a package of unsweetened shredded coconut in your food processor or high-powered blender and process until it turns into a paste. This can take anywhere from 5 to 15 minutes. Don’t give up! It might seem like nothing is happening but then all of a sudden, it will turn into beautiful, smooth, creamy coconut butter. I like to add a tiny pinch of sea salt and a little vanilla extract too but that’s optional. You can store coconut butter in the pantry, it will harden up or may stay softer depending on the temperature where you live. Make it. Do it. Put it on these muffins. It’s amazing. 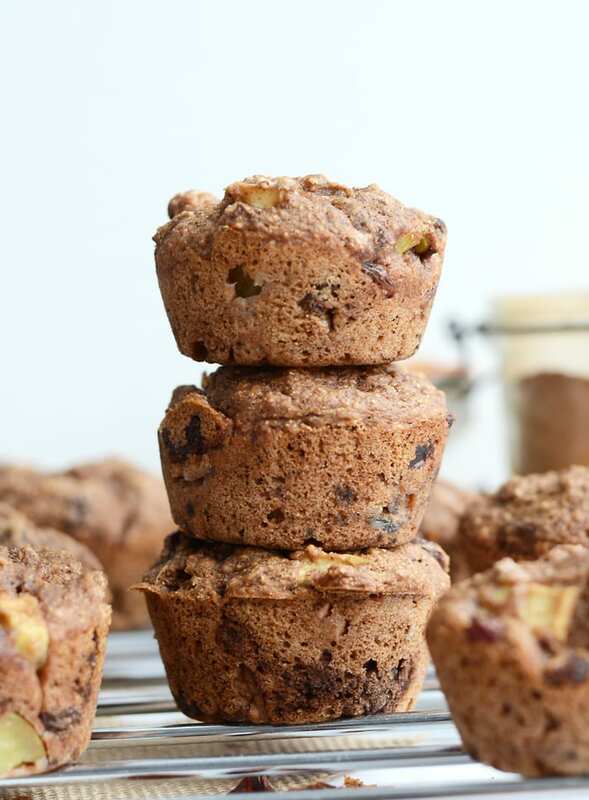 These muffins have loads of flavour, big apple chunks, plenty of cinnamon in every bite and sweet raisins throughout. They’re made with whole wheat flour, sweetened naturally with maple syrup and have just 2 tablespoons of coconut oil in the whole recipe. Unsweetened applesauce reduces the amount of oil and sweetener needed and adds extra apple flavour. They’re quite low in fat, just 3 grams per muffin with a whole muffin coming in at 165 calories. 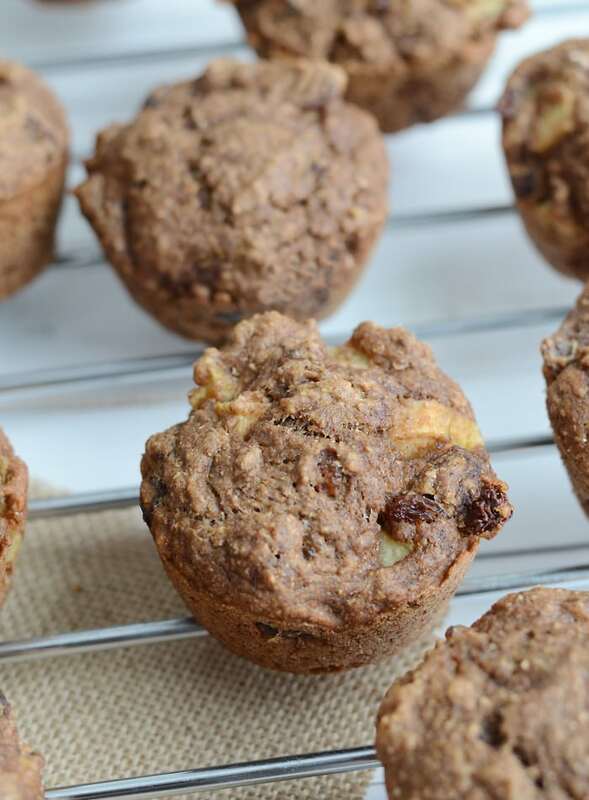 These muffins are great year round but the best on a cold fall morning, smothered in coconut or almond butter and served with a cup of your favourite tea or coffee. They’re also amazing as part of a vegan brunch spread alongside pancakes, tofu scramble, fresh berries and coconut yogurt. I’m eating my current batch at 4:30 am, pre-workout, topped with peanut butter, coffee is brewing….however you eat yours, enjoy! Mix together the vinegar and almond milk in a bowl and set aside. Add the maple syrup, applesauce and melted coconut oil to the almond milk. Fold in the raisins and apples. These were fantastic! Thanks for sharing! 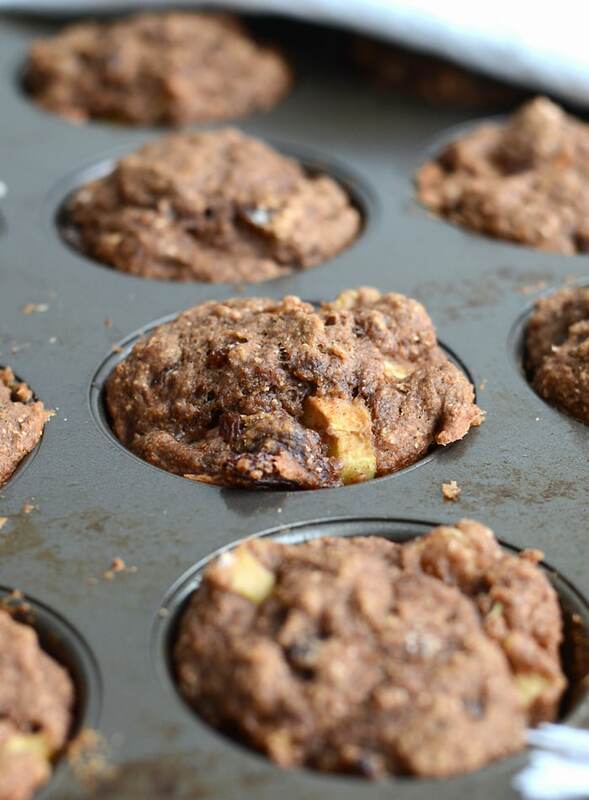 I made these using the leftover mush from my juicer (apples, pears and sweet-potatoe musch) to replace the apple sauce and apple chunks. Also I added a few nuts. Turned out amazing and I finally found something to do with all that juicer fibre. Just made these muffins and they are so delicious! I did use 1 1/2 cup flour and 1/2 cup flax meal and it turned out perfect!! Yummy! Thanks!